A brightly colored bouquet for a brightly colored person! 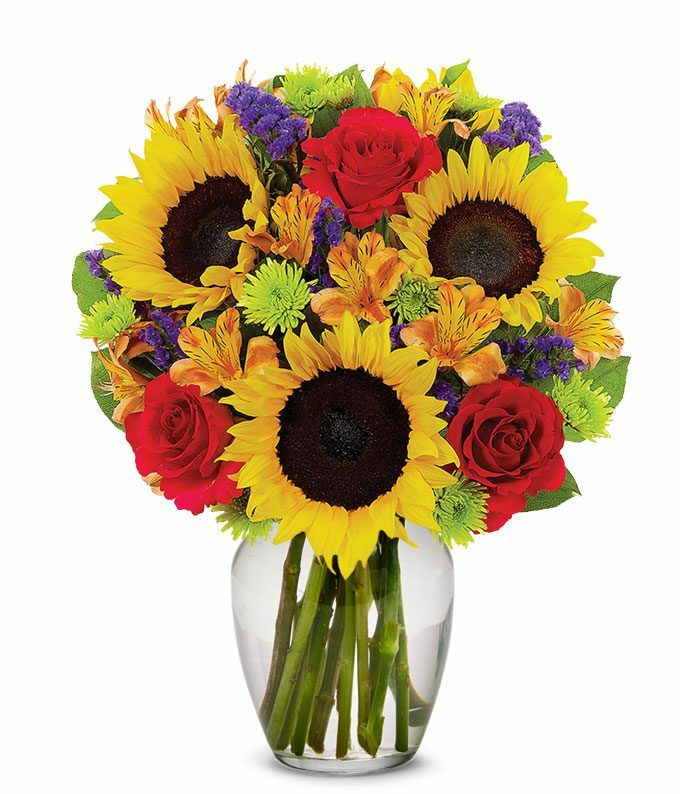 The Sunflower Delight bouquet is sure to brighten up any room, with its bright yellow sunflowers, red roses, purple statice and orange alstroemeria. The lovely arrangement comes displayed in a clear glass vase, guaranteed to be a delight in anyone's day!